Beatles you can cuddle. Take a ride to Pepperland, that cheerful music-loving paradise under the sea with this awesome Beatles Yellow Submarine Band Member Plush Box Set! The plush are decorative, cuddly, and huggable! 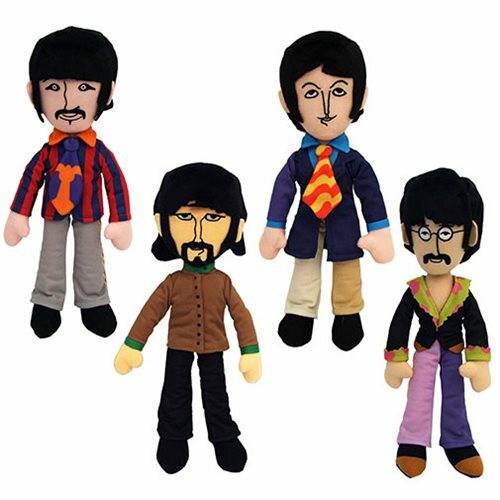 John, Paul, George, and Ringo appear as they did in the 1968 animated classic. They measure about 9-inches tall. Ages 3 and up.